Mustafa Bashir's legal team had claimed that prison would ruin his career as a cricketer. 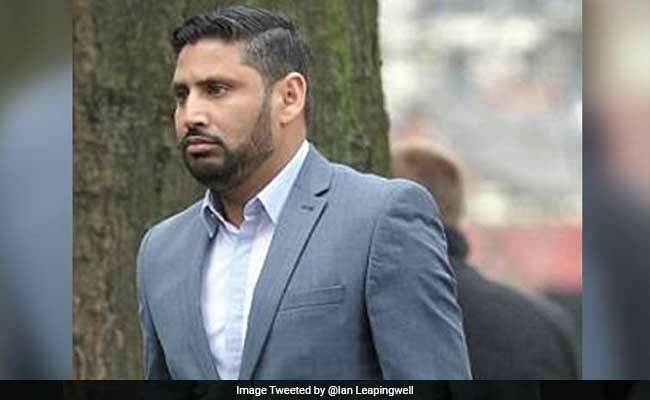 London: A 34-year-old Pakistani man, who has beaten his wife with a cricket bat and forced her to drink bleach, was today jailed for 18 months after a judge said he was "fundamentally misled" by the cricketer. The judge had let Mustafa Bashir off jail time last month in order to not ruin his career. However, there was widespread outcry against his ruling after it emerged that LCCC had made no such offer to Mustafa Bashir. Mustafa Bashir met his 33-year-old Fakhara Karim in their country of origin Pakistan and married in 2013. The court heard that Mustafa Bashir berated Fakhara Karim for wearing Western clothing, tried to turn her against her own family, and repeatedly beat her. Mustafa Bashir, who has played cricket for Oldham and Bolton in England, denied telling his barrister at the last hearing that he was about to sign the contract with Leicestershire. Judge Mansell rejected Mustafa Bashir's claims, saying, "You were clearly making a claim to the court you had professional cricket contract." Manchester-based Mustafa Bashir had earlier admitted two counts of assault occasioning actual bodily harm after the court was told he beat Karim with a cricket bat, throttled her in public and also forced her to drink bleach. Judge Mansell had earlier sentenced Mustafa Bashir to 18 months' prison, suspended for two years, besides ordering him to attend a workshop entitled "building better relationships" and pay 1,000 pounds costs as well as banning him from contacting Karim. In his sentencing remarks, he said he did not believe Fakhara Karim, 33, was vulnerable as she was "an intelligent woman with a network of friends" and a college degree.